Books available in hardcover, trade paperback, and large print! "As hot and steamy as a Louisiana night, this series debut hits all the right notes with the evocative Big Easy setting, colorful and memorable characters, and a smartly twisty plot." "Richly nuanced, Bruns clearly loves New Orleans and pithily inserts details of the city's complex history and culture." 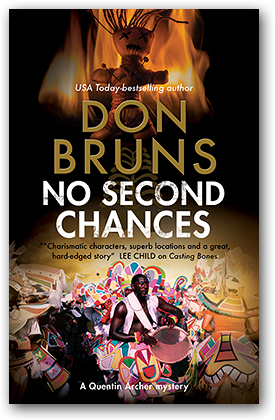 "Even if there seems no room left for the unexpected, Bruns still has one last surprise up his sleeve. Combines honest detection, an unlikely romance, and headline-driven paranoia." "Bruns' intriguing novel has a nice sense of the creeps!" 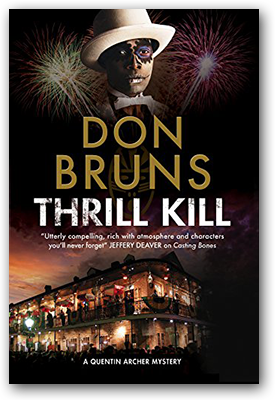 "Bruns brings the chaotic frenzy of Mardi Gras to life...what starts out as a search for a serial killer loops into something even bigger, more sinister and far reaching." "Charismatic characters, superb locations and a great, hard-edged story...Bruns is a crafty pro, and every ounce of his skill and style is packed into Casting Bones. If you love the crime genre, this is not just highly recommended, but mandatory." 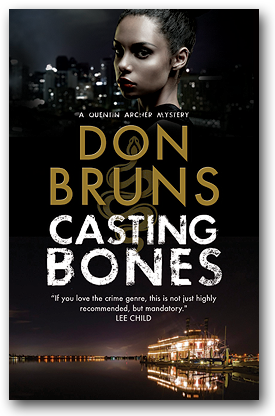 "Casting Bones finds author Bruns at the top of his game....utterly compelling, rich with atmosphere and characters you'll never forget. And I can't think of a better portrayal of the most exotic city in America: New Orleans."